Former Sports Minister, Nii Lante Vanderpuye had called on the government to publish the names of the Ghanaians who he says have caused the country international embarrassment at the 2018 Commonwealth Games in Gold Coast, Australia after they were deported for allegedly posing as journalists. “First I will say that it is good for that the president responded to our call [for people to be suspended] and I will commend him for taking such swift action but it’s not enough. What I want to see now is the full list of all the 60 something people who presented themselves as journalists when they are not. We have to know, them, their names, what they do and where they come from. When we get to know them, we will be able to know the real actors in this game,” he said on Citi FM’s current affairs and news analysis programme, The Big Issue on Saturday. Two weeks ago it emerged that some 60 Ghanaians were deported from Australia after they were deemed to be “non-genuine travellers” posing as journalists for the Commonwealth Games. Following the public outcry, the government tasked the National Security Agency to investigate the reports. The President of the Ghana Olympic Committee, Mr. Ben Nunoo Mensah; the Board Chairman of the National Sports Authority, Kwadwo Baah Agyeman; and the Chef-de-Mission for the 2018 Commonwealth Games, Mr. Mohammed Sahnoon, were also recalled from the Games to assist in investigations currently being undertaken by the Criminal Investigations Department (CID) of the Police Service. 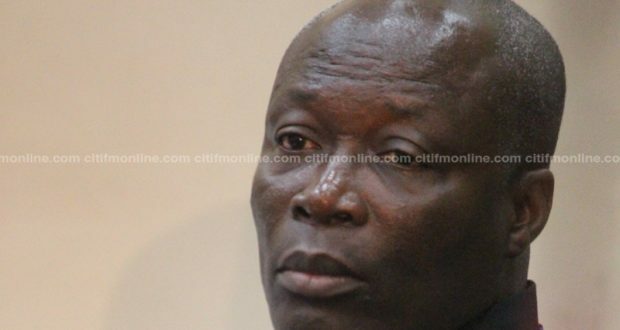 Mr Vanderpuye also blamed politicians for the embarrassment, accusing them of filling up the travel lists for such international sporting events with their supporters. Meanwhile, Hadzide has said his hands are clean. Hadzide said he believes that he will undoubtedly be vindicated after the investigations.